Got a hunch your corrugated iron roof may have reached its use-by-date? 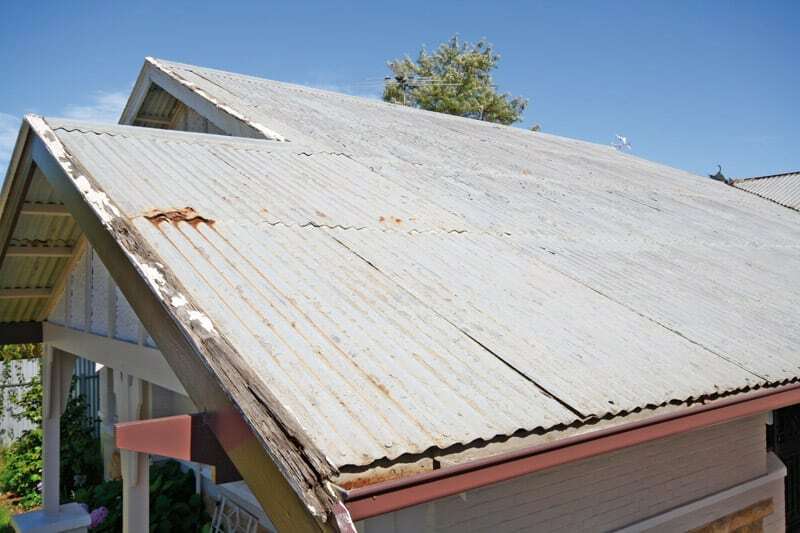 In most cases, by the time an iron roof is exhibiting signs of deterioration that are visible from the ground, the damage is wide-spread and irreparable. The only solution is to re-roof, which is definitely a job for a team of experienced roof plumbers. As you will see throughout this article, the process often involves much more than just ripping off old sheets of iron and slapping on a new roof. If you want your new roof to last, and be watertight in any weather, there are no shortcuts to achieving a professional result. One of the most common indicators that your roof is on its last legs is patches or streaks of rust, particularly where the sheets of iron overlap, or around nail holes. In severe cases, a patch of roof may even collapse when weight is placed on it, such as a person walking across the roof. Even small, irregular patches of break-through rust are a tell-tale sign of extensive rust damage beneath the surface, and with further inspection, we generally find that the majority of sheets are in a similar condition across the entire roof. Loose nails are also a strong indicator that the roof is deteriorating, and potentially damaging the supporting timber. As the roofing nails begin to work their way loose, moisture is able to penetrate past the loose nail and collect in the nail-hole, damaging the timber. A banging noise in high winds, or even visible flapping of the sheets of iron are all tell-tale signs that nails are lifting. Loose nails are a problem that is only going to get worse, increasing the risk of water leaks, or even entire sheets blowing off the roof. From the inside of your home, you may also begin to see patches of moisture, discolouration or mould on the ceiling or Gyprock walls. You may even notice the occasional, and inexplicable, patch of moisture on floors or carpets, or water trailing subtly down internal walls following rain. All these signs indicate severe roof damage that needs to be rectified quickly to prevent structural damage to your home. Removing the old roof is an opportunity to inspect any timber-work that was concealed during the initial inspection. The supporting timbers are the backbone of any roof, so it’s essential that they are structurally sound before we even start. Rafters, in particular, support the entire weight of a roof, which over many years can result in the timber sagging or even breaking. Our repair methods ensure that any sagging is eliminated, and cracked or broken timbers are replaced or braced so they are ready to carry the load of a new roof for years to come. Before we install the new sheets of iron, we make sure that purlins are spaced exactly to industry standards, and to the manufacturer’s specifications. This ensures that the roof is well supported and durable, and won’t be damaged if it is required to carry weight or walked on at any time in the future. Before we begin installation, we also check the direction of prevailing winds, and lap the sheets so that the wind will blow over, rather into the face of the join, reducing the risk of water penetration, even in high wind conditions. For maximum roof life, we always use full-length sheets to eliminate rust causing joins. Every sheet is also fixed using neoprene sealed Tek-screws, so that the roof will be permanently secure and watertight. The finishing of a roof installation is where the trade skills of a roof plumber really shine, sorting the professionals from the pretenders. A roof finished by a genuine tradesman not only looks fantastic, it will last for years and years, delivering watertight performance in even the strongest winds and pelting rain. Every ridge capping is uniquely scribed and cut to create a perfectly crafted and watertight finish to the roof ridges. They are not only functional, but also look impressive from the ground. The roof of a modern home can contain a range of penetrations into the roof cavity below, including air-conditioner ducting, skylights, vents, flues, chimneys and turbine ventilators, and every one of them must be completely watertight. Our flashings are scribed and cut for an exact, low tolerance fit. In many cases, we manufacture customised flashings to maximise the water-proof integrity of the roof, while efficiently preventing any accumulation of water in potential catchment areas. This attention to detail ensures minimal use of silicone to water-proof the roof, which we only use to prevent capillary action drawing water between the sheets of iron. We also use a technique called weathering the sheets, where we re-shape the edges to prevent the backflow of water. An important step to prevent heavy rain and strong winds blasting water into the roof cavity at vulnerable points in the roof. How long does it take to re-roof my home? The time it takes to re-roof a home ultimately depends on the roof area, and the complexity of the roof shape and structure. If there is significant timber damage that needs to be repaired, this will also add to the total project time. The average home generally takes 3 -5 days from start to finish. Once we start a re-roofing project, we work continuously until the job is finished. Is the roof ever going to be left open to the elements overnight? No, we always make sure your roof is sealed and secure before we leave each day. We only ever work on one section at a time so that we are always replacing what we remove. 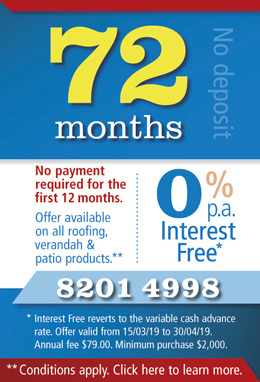 We also plan when we are going to begin your re-roofing project to avoid the risk of inclement weather. Will I have a big clean-up to do once the job is finished? Not at all. Once we have finished installing your new roof, the entire work-site is thoroughly cleaned. We believe that part of being professional tradesmen is to respect your home, and leave it the way we found it. The only way you will know we have been is your wonderful new roof. Will re-roofing cause major disruptions throughout the day? Re-roofing your house is a major renovation, and may initially seem quite daunting, but as a professional roofing company, our team at Utter Gutters make sure that the project will never affect your daily activities in any way. A roof has a major impact on the visual profile and character of any home. We can help you capture the traditional style of an early settler home, or create an exciting, contemporary visual statement that is uniquely yours. 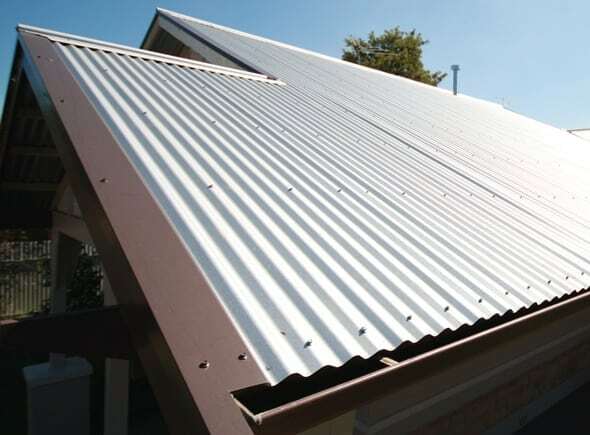 A roof profile we are very excited about is the recently released Stratco Maximus, with its deep, rounded profile that is recognised as the strongest and thickest gauge corrugated panel in Australia. Available in profile depths of either 22mm or 33mm, Maximus is a highly versatile product that comes in a range of pre-painted colours, or zincalume. We are able to offer you a wide choice of contemporary and traditional colours in a range of light and dark shades. (Note: Each product range that we offer has their own unique colour pallet). If you are ready to have a new roof installed, now is the time to install an insulation layer to help reduce heat getting into the roof cavity in summer, while preventing heat loss during winter – a great way to reduce energy costs. The insulation layer can also reduce dust and help to mute ambient noise. Because the insulation layer is sandwiched between the purlins and the iron sheet, it can also help to prevent embers from entering the roof cavity, a must if you live in an area that is a known fire risk. If you would like more information about re-roofing your home, or any of our other roofing or guttering products and services, please give us a call to arrange for one of our experienced Roofing Technicians to visit your home. They will carry out a detailed inspection of your roof, and will supply you with a written report about the roofs condition and any work that may need to be done. There is no obligation, and the valuable advice you receive will help you to make an informed decision about your roof. To find out more, or to make an appointment, please call us on 82014999.